Aperture – the f-number (sometimes called f-stop) is often used in photography to obtain the depth of field (dof, the amount of the image that is in focus from the subject to the background). 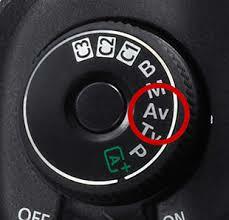 This is also referred to as Aperture Priority Auto Exposure, A mode, AV mode (aperture value mode), or semi-auto mode. Typical ranges of apertures used in photography are about f/2.8–f/22 or f/2–f/16. This is a digital photography basic that a photographer must learn in order to take pictures without using auto mode. Aperture is one of the three basics you must master. The aperture in photography refers to the size of the lens opening when the picture is taken. The aperture is the size of the opening of the lens when you take a picture. The aperture is used in conjunction with the shutter speed and ISO setting to properly expose the image. One important reason for having an adjustable aperture is to make sure you can get the proper exposure. For example, if you are out on a really sunny day and had to shoot with your aperture wide open, you may not be able to get the right exposure by just changing the shutter speed and ISO setting. You might have to use a smaller aperture to keep from exposing the image too much. The aperture also controls the depth of field in an image. The depth of field refers to the amount of the image to the background area that is in focus. A wide aperture setting will make the subject be in a sharp focus while the everything behind the subject will be blurred. Keep in mind a wide aperture is f2.8 and a small aperture is f22. 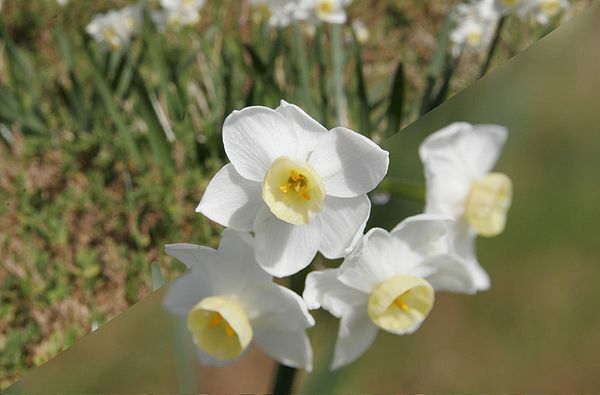 If you use a small aperture, most of the frame will be in focus, including the foreground and background (f22). It could be used to take a picture of a stream when you also want the mountain in the background in focus. Or if you are taking a photograph of a class picture you would use an aperture of at least f8 so that people in all of the rows will be in focus. This is an example of having a larger depth of field. If you used f2.8 one row of students would be in focus and the rest would be blurred. One thing to remember about the aperture size is that a smaller f/stop number on a camera represents a larger aperture. For example, f/2.8 is a much larger aperture than f/22. The depth of field is a very important concept that every photographer should keep in mind when taking pictures. It is equally important for a photographer to understand how to use the aperture setting on a camera to achieve the desired depth of field. These are both very important concepts to master when learning digital photography. Please take a moment to view some of our ads. These are only products that we use and highly recommend you purchase. Almost all of our images are edited with a Topaz filter. You can also read up on our review of Topaz filters here before you purchase. They offer a FREE TRIAL on all products. The photo was taken with a wide open aperture f2.8 to create a completely blurred background. Remember when you think wide open means f22 or a high number (which common sense leads you to think) It is actually backward. Wide open aperture means your lowest f-number. When shooting in Aperture Priority our priority is controlling the depth of field. The camera will then pick the shutter speed to make sure the exposure is correct. When we are lacking lighting we cannot always shoot at a higher f-number since the higher the number the less light comes in. Homework – Put your camera in A or A/V for aperture priority setting. Use ISO 400. Set your white balance to match your surroundings, sun, clouds, ect. Take a shot at 2.8, then 3.5, 4.0, 5.6 all the way up to f22. Download your images into your editing software and look at the metadata to see what you shot at and see the difference in the images. If you do not have editing tools Picasa by Google is free, and it shows your basic info of each shot right next to the image. Just be careful when you download. It will ask you if you want to search every image on your entire computer or not. Be sure to check no if you do not want a thumbnail of every image on your computer. Now take a look at our Shutter Speed, White Balance, and ISO pages. These are the four basic components of photography. Onchttps://photomagx.com/basic-photography-beginner/iso-beginner-photography/e you master all four you can shoot anything at all. If you live in New Jersey, you can take a class from Extra Eyes Photo Tours or have individual instruction in the Central N.J. area. See info here – Extra Eyes Photo Tours. To learn more about using a digital camera and taking stunning pictures, please visit: How to Use a DSLR Camera and Using a DSLR Camera [http://hubpages.com/hub/DSLR_for_Beginners_Learn_All_About_DSLR_for_Beginners].